Finding the wedding dress you Adore may be the first step, but if you are having a traditional wedding with bridesmaids and groomsmen, finding your dream dress is not the last step. For the finest selection of bridal party dresses Peoria IL brides have trusted Adore Bridal, and you should too. 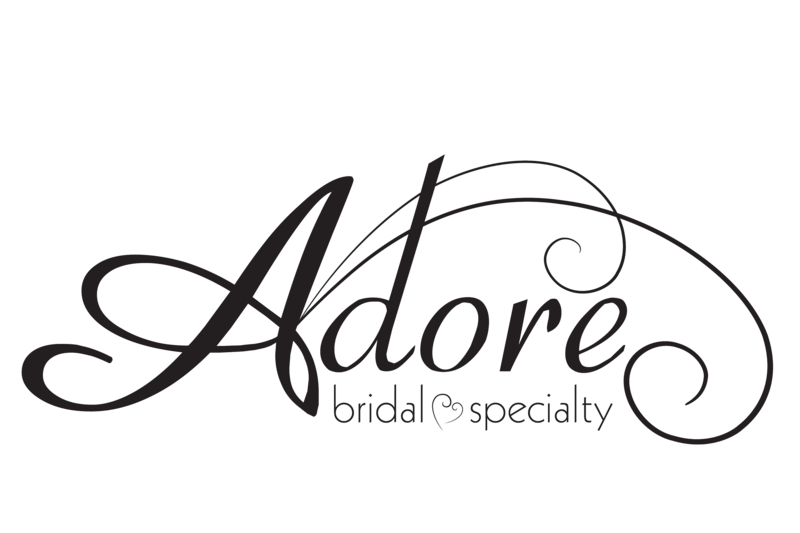 Adore Bridal is not just a wedding dress store. We are your one-stop shop for bridesmaids dresses, mother-of-the-bride dresses and tuxedos. You can follow us on Pinterest to see all the styles we have in store or you can browse our website. At Adore Bridal, we understand that bridesmaid dresses need to fit the theme and venue of the wedding, but they also have to be dresses your bridesmaids will feel proud to walk down the aisle in. You don’t want to end up with dresses that perfectly complement your color theme, but leave your maid of honor scowling or your bridesmaids too uncomfortable to dance. You also don’t want to sacrifice pleasing your bridesmaids, but you might have trouble pleasing all of them. Each bridesmaid deserves the chance to enjoy your wedding in a dress that flatters them, but also pleases the bride. Your Adore stylist will help you find dresses that will please everyone in the bridal party. We can also find outfits for the mother-of-the-bride and groomsmen! When you book an appointment with Adore Bridal, you are really booking an appointment with a stylist who will understand your taste as well as you do! Our stylists talk to our brides before the first appointment, and they are known for pulling the perfect dresses before our bridal parties even walk in the door! When looking for bridal party dresses you will Adore, look no further than Adore Bridal. Contact us online or call 309-291-0838 to schedule your appointment today!